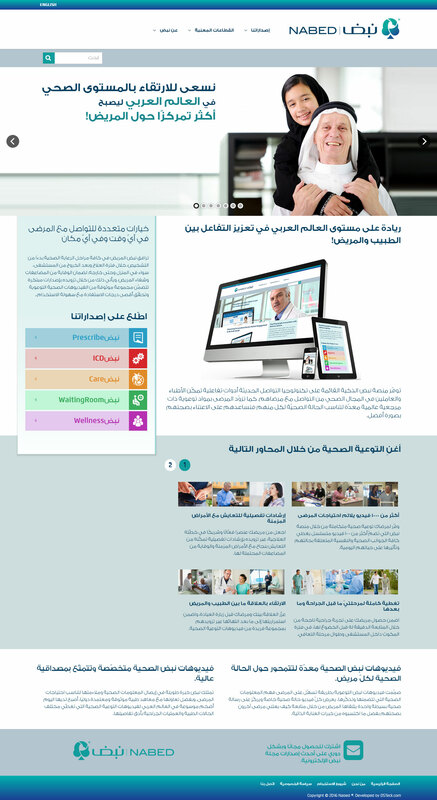 DSTeck is excited to announce the launch of NABED.NET website, The Middle-East FIRST and the ONEEducational Health Content Provider. Nabed is one stop shop for full-fledged health education solutions that can cater for the needs of clinics, hospitals, ministries, NGOs, pharmacies, and home care facilities. Nabed is a pioneer in optimizing health care outcomes by communicating educational content to patients in an engaging manner and empowering health practitioners with tools to better serve their patients. With the lagging referenced patient education content in the Arab world, and with almost non-existent doctor-patient engagement, Nabed comes to elevate the standards and expectations for patients and medical practitioners through its highly specialized and innovative health content delivery platform. Visit Nabed.NET Website and Subscribe now for the free newsletter and start receiving occasional emails about new video releases, product line and helpful updates.